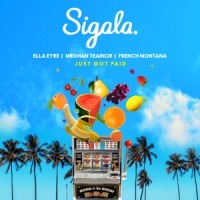 The song Sigala, Ella Eyre, Meghan Trainor ft. French Montana - Just Got Paid is professional recreation. It is not by the original artist. Just Got Paid Sigala, Ella Eyre, Meghan Trainor ft. French Montana Your browser does not support the audio tag.